Season the fish with salt and pepper and generously brush with the anchiote marinade. Allow to marinate for 30 minutes or more — no more than 2 hours. Heat a grill over medium heat. 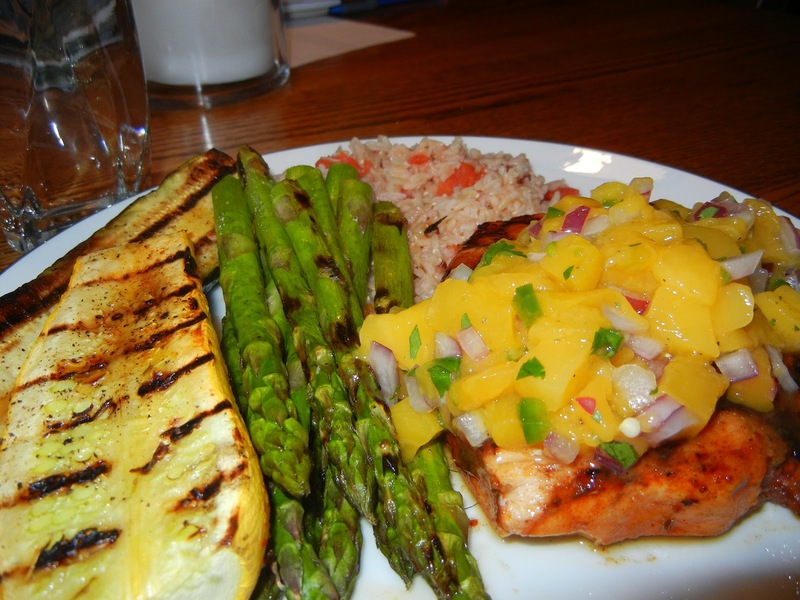 Brush grates with grapeseed oil to prevent the fish from sticking. 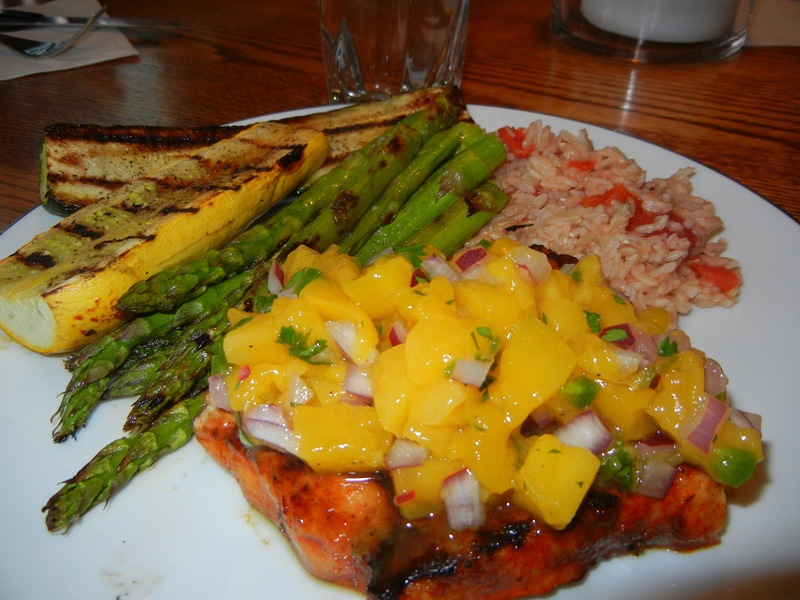 Serve the grilled fish, topped with Fruit Salsa. What? You don’t have a recipe for Fruit Salsa. Well, the Chopping Block folks have provided that as well! Toss all ingredients together. Season to taste with Salt and Pepper, Sugar and Lime Juice. Allow to sit for one hour before serving. I couldn’t find any good mangoes at my grocery, so I opted to get jarred mangoes. I got them home and took immediately rinsed off the sugar water. The mangoes were very soft (too soft really), but still tasty. 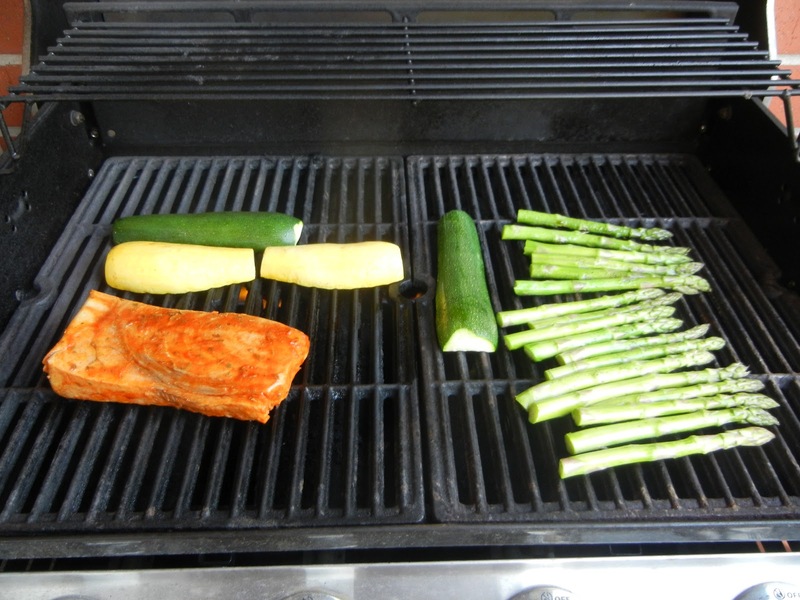 I marinated my fish for about 2 hours then tossed it on the grill. What is your favorite fish recipe? Do you eat it plain, with a rub, or a salsa – or both? By Tim in Food on September 22, 2012 . Hey Tim this really made me hungry now, I definitely will try cooking this myself !Just a question not related to your post, how do you get your feeds of blogpost in your google+ account so nicely? I get the option to share to goole + but it never comes out nicely there. It does however on my facebook page but there I do not share to but have the grafitti app installed. Would be great to hear your tips on this.